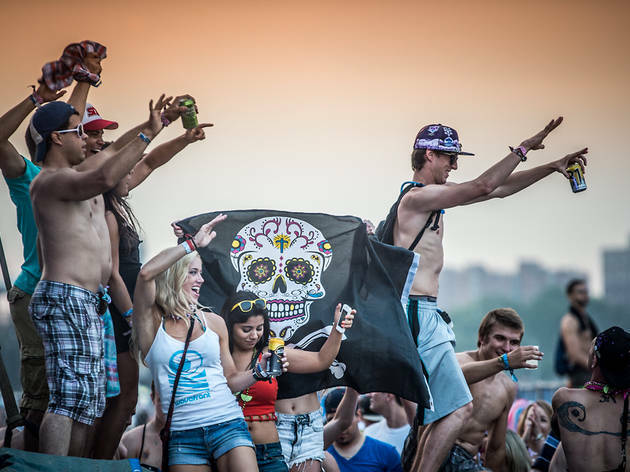 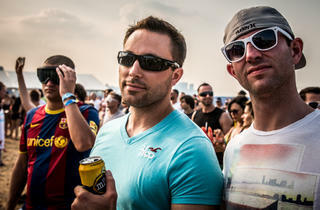 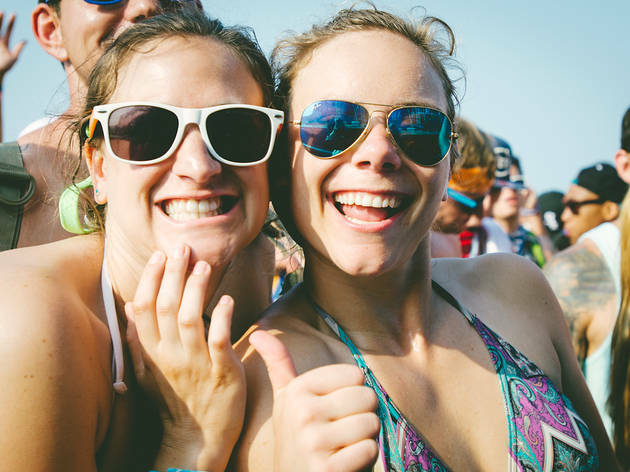 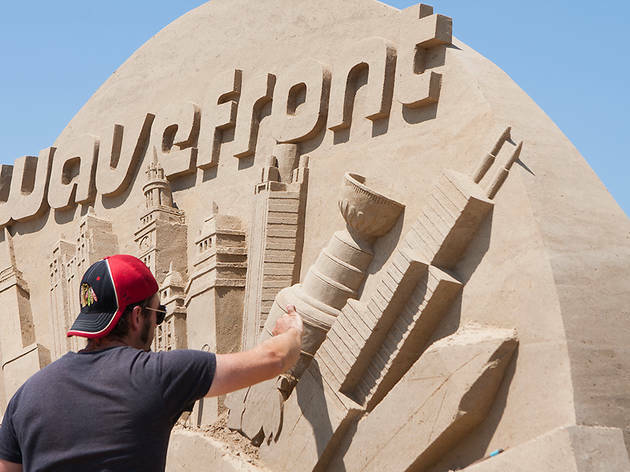 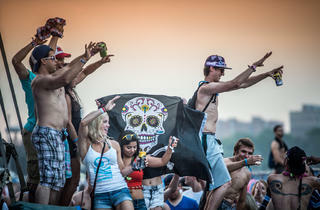 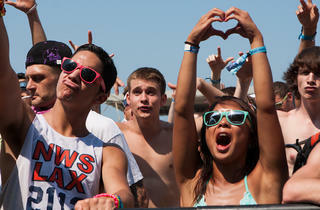 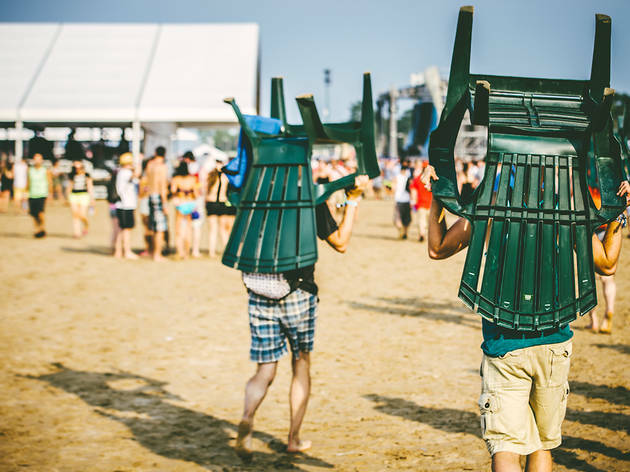 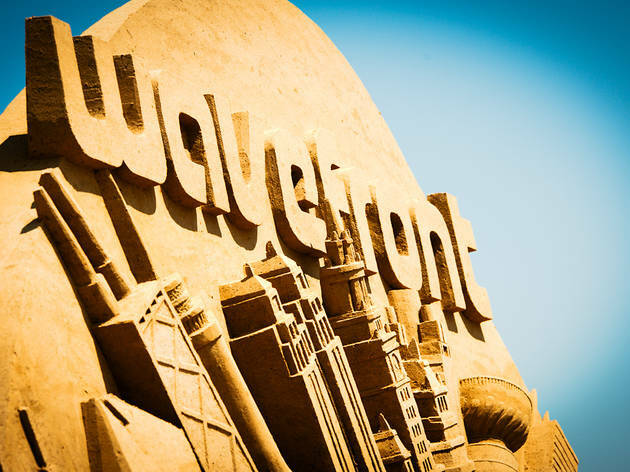 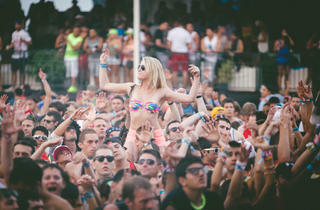 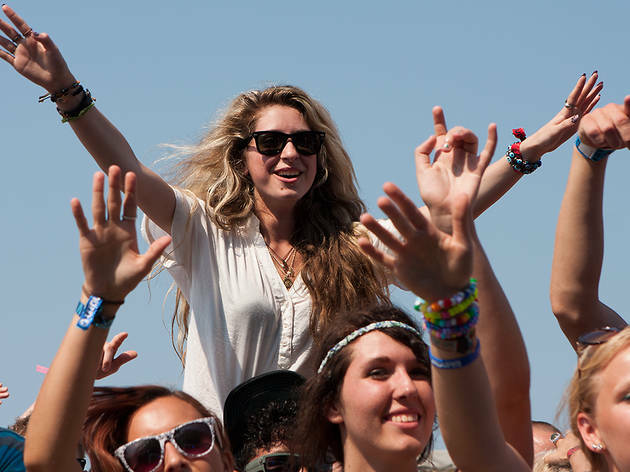 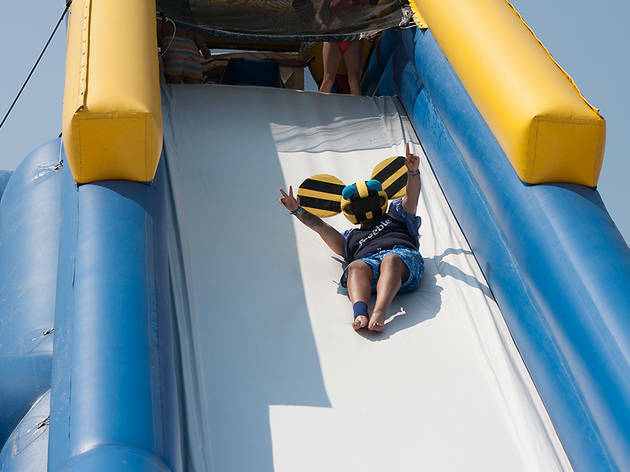 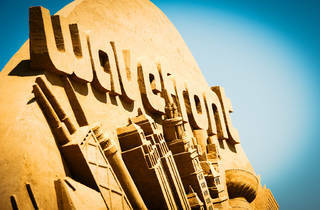 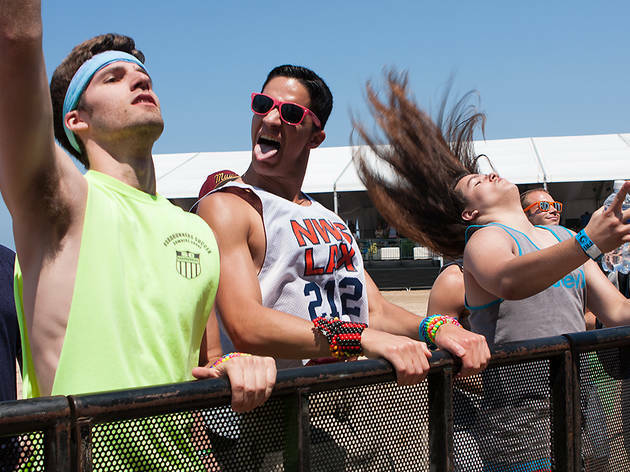 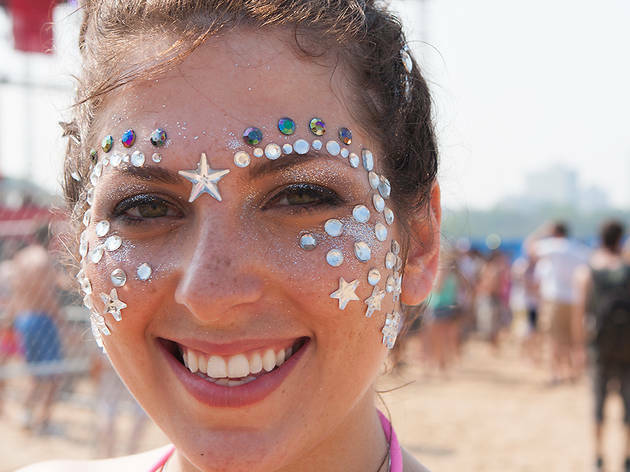 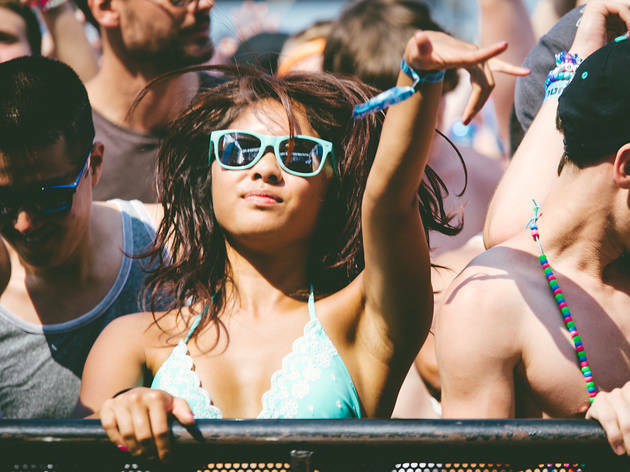 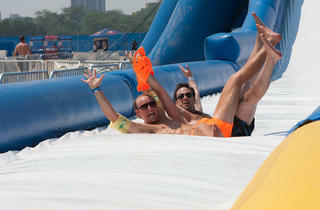 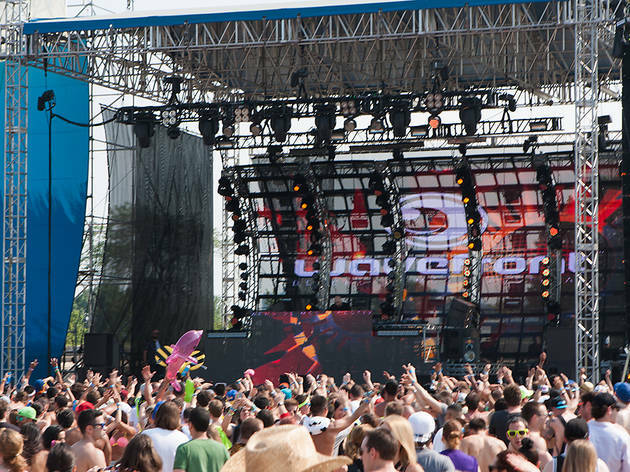 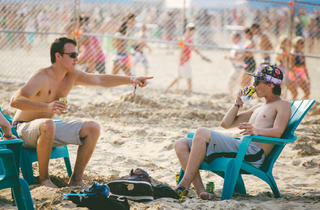 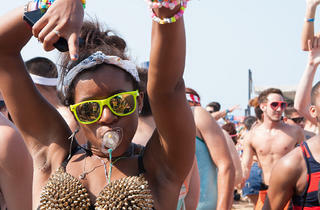 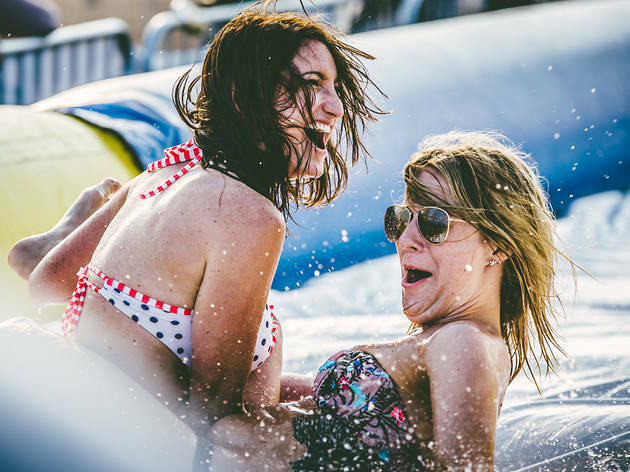 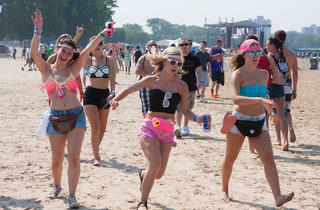 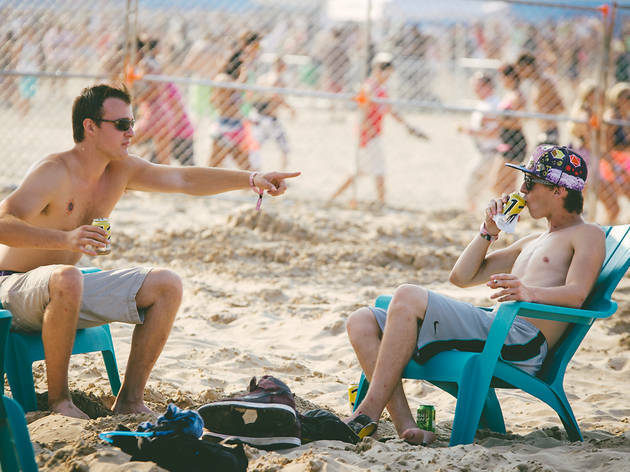 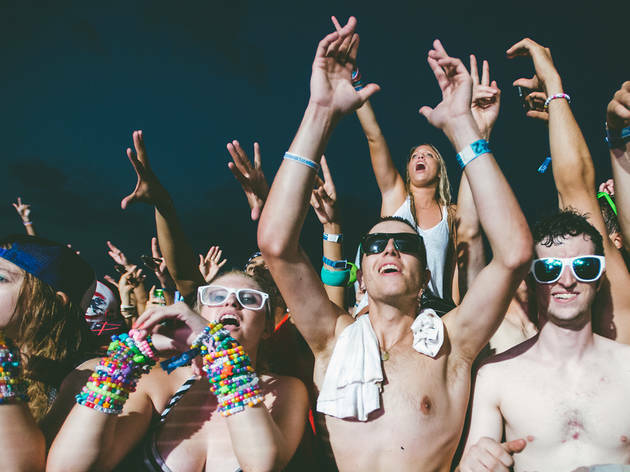 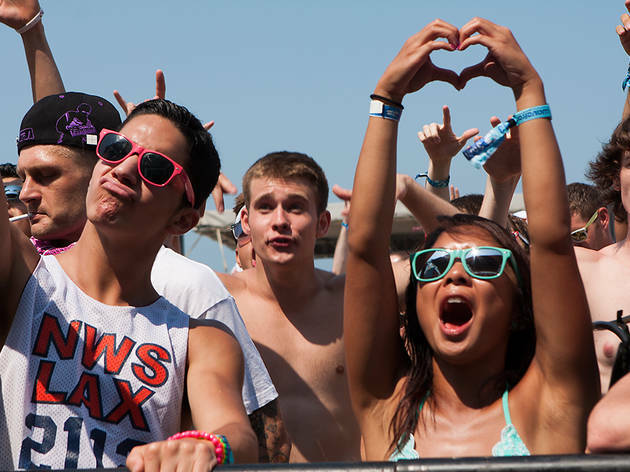 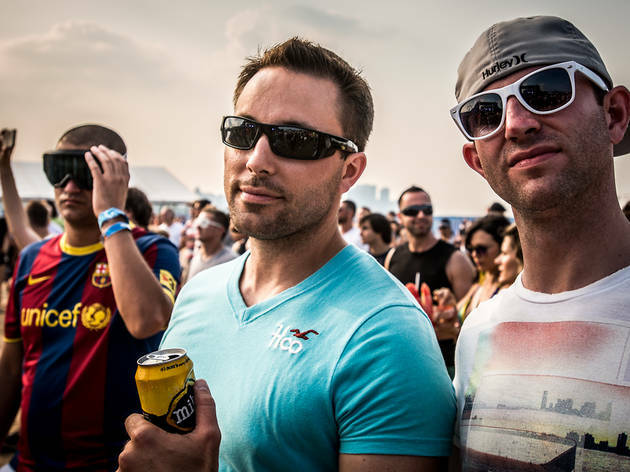 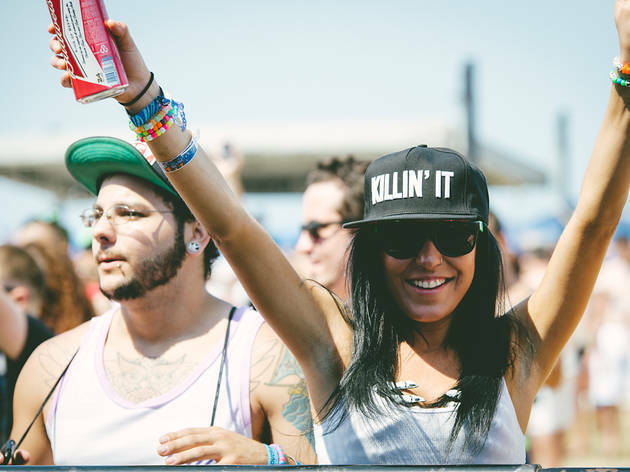 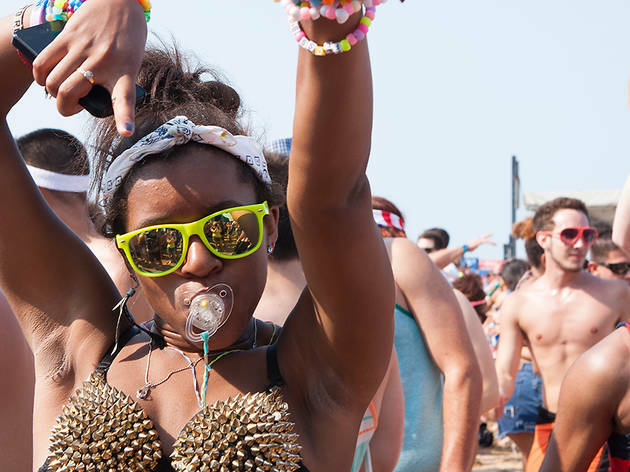 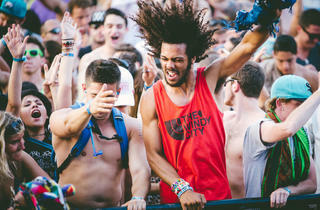 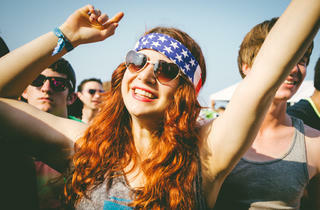 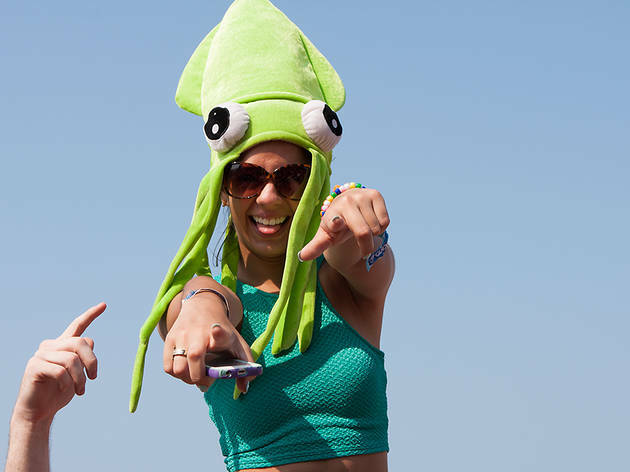 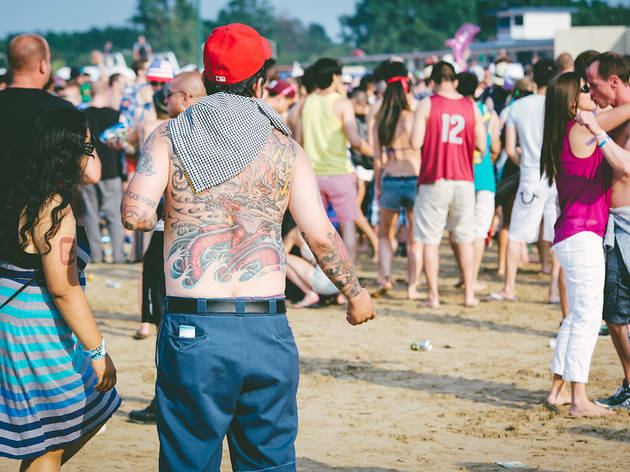 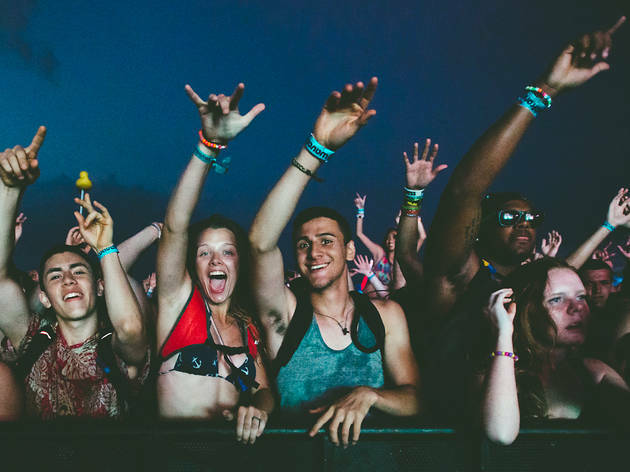 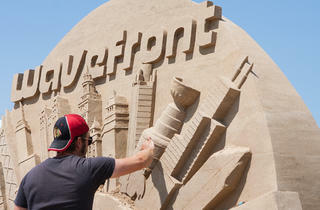 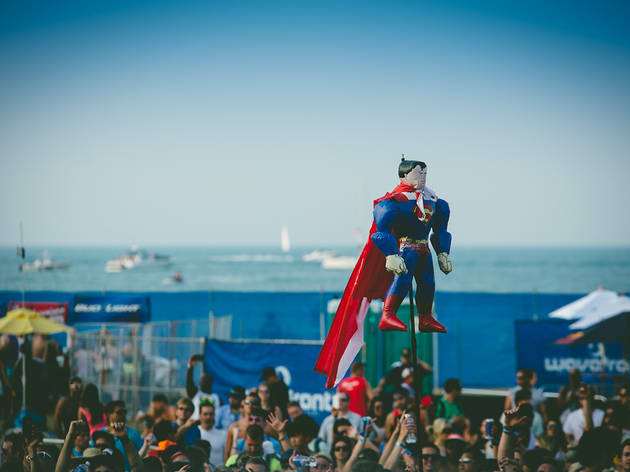 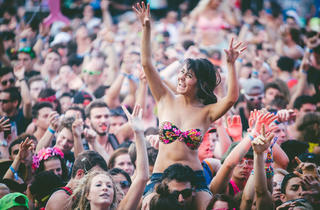 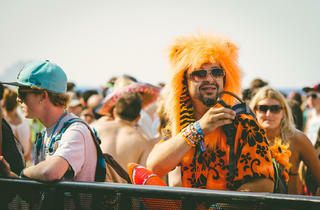 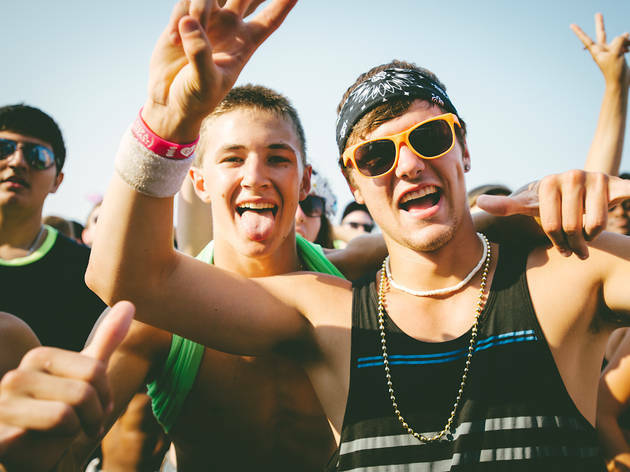 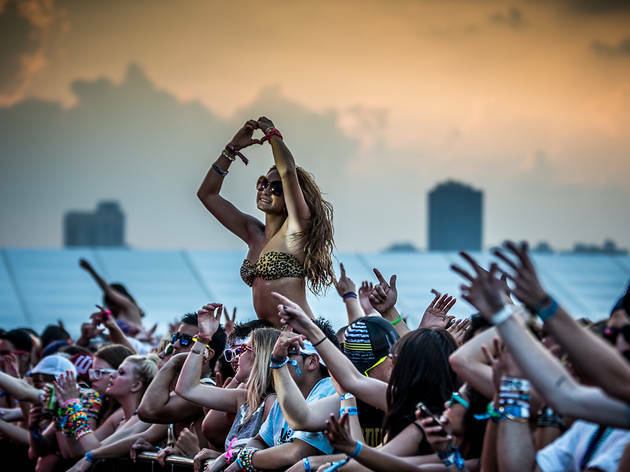 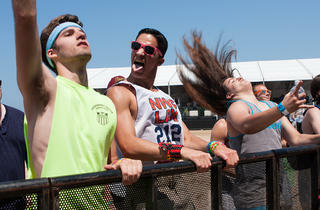 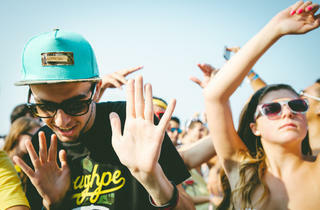 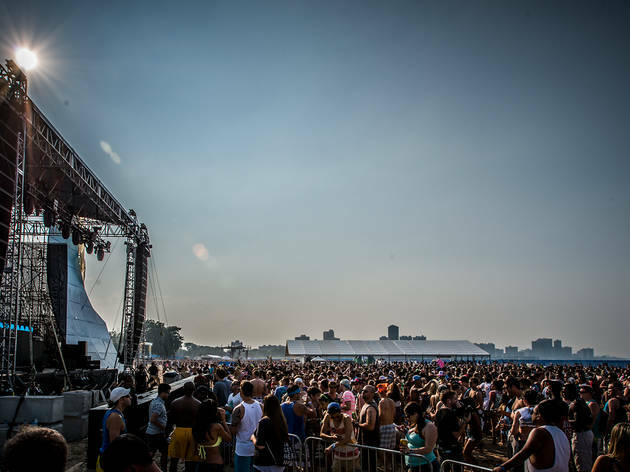 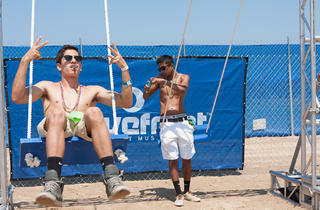 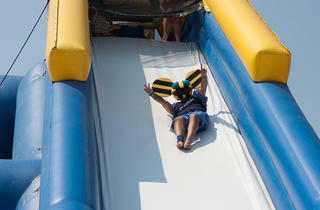 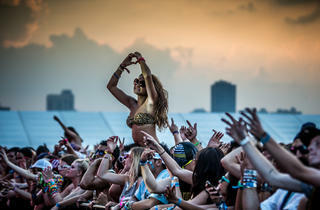 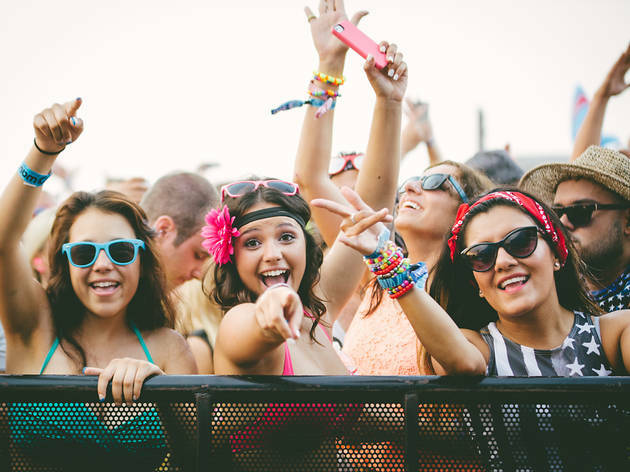 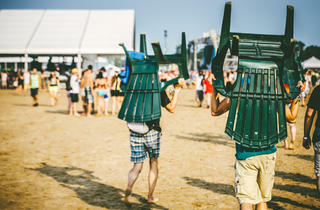 Check out pictures of dancers, revelers, sunbathers and ravers at the beach from the first day of the 2013 Wavefront Music Festival. 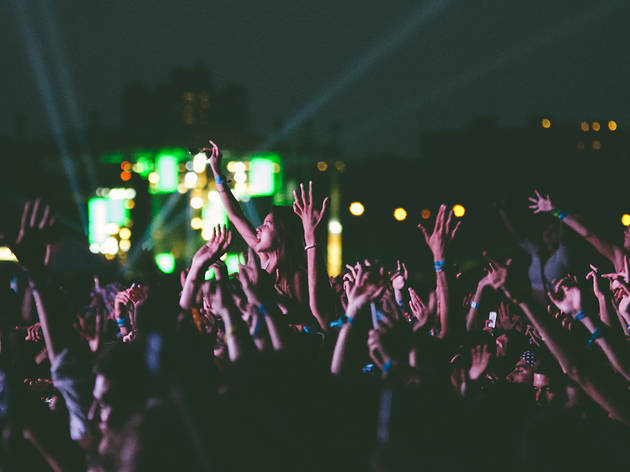 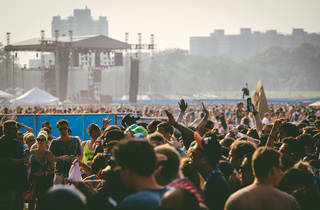 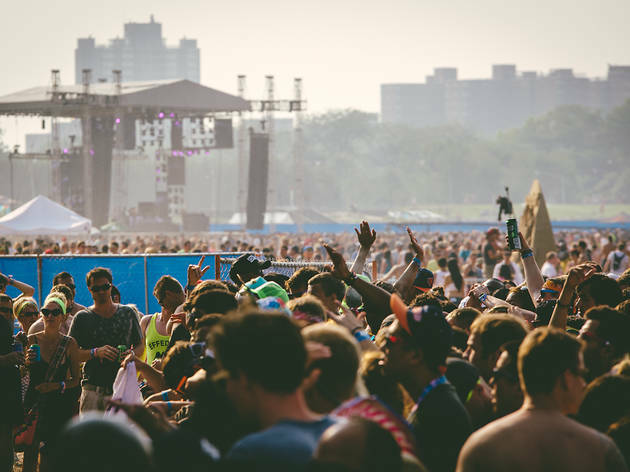 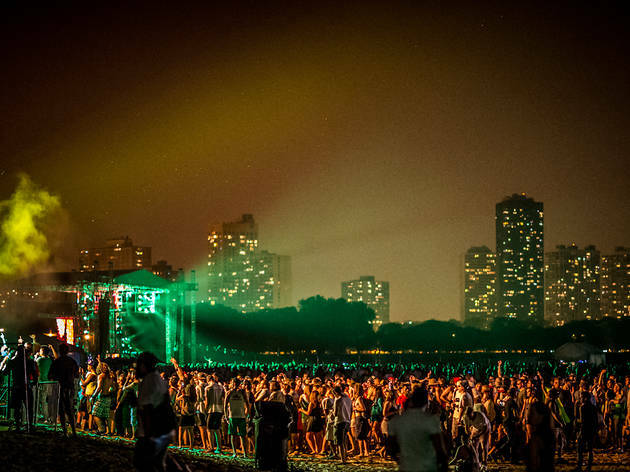 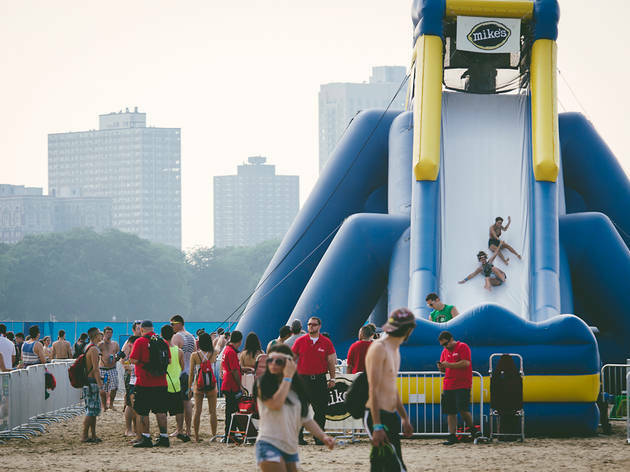 Photograph: Kendall ThackerWavefront Music Festival: Justice, Diplo, Fatboy Slim headline the beach party at the Montrose Beach music festival, July 5th, 2013. 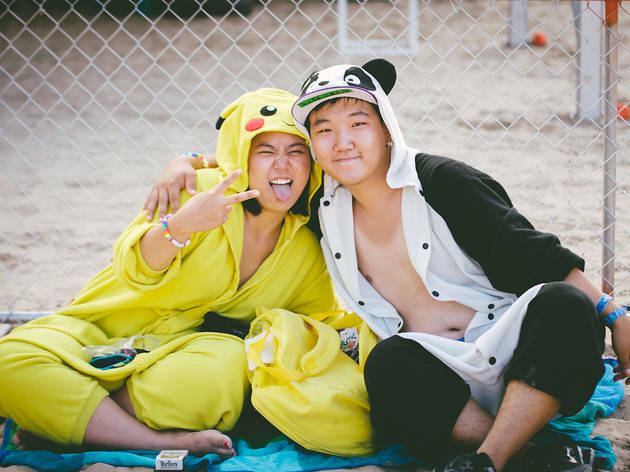 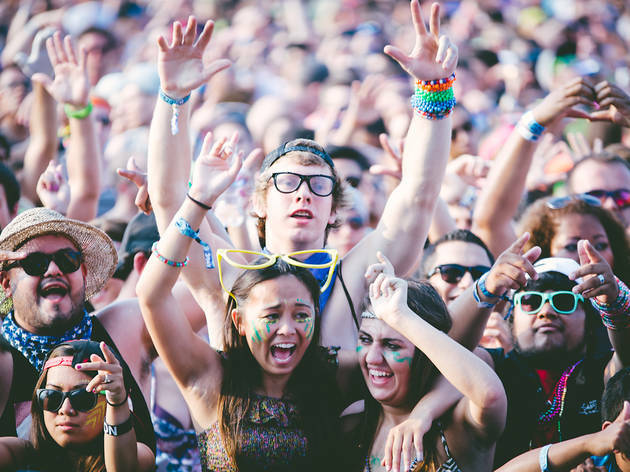 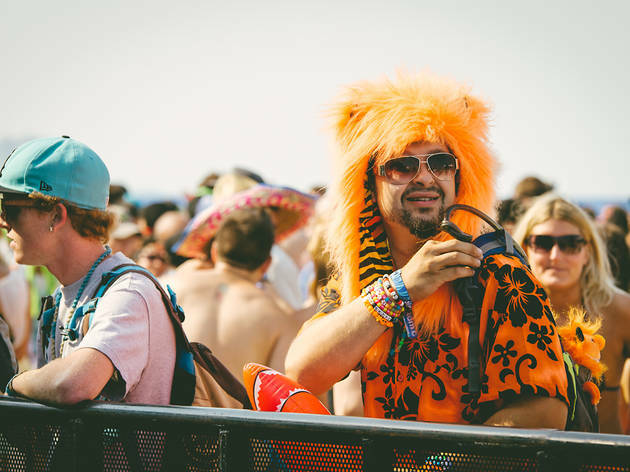 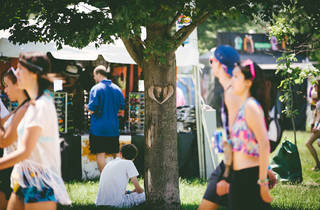 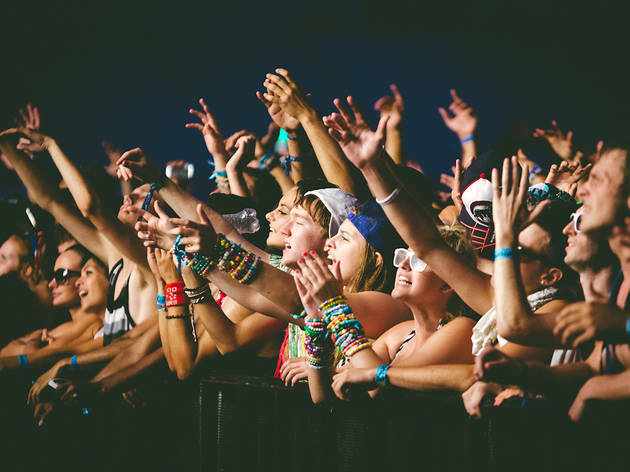 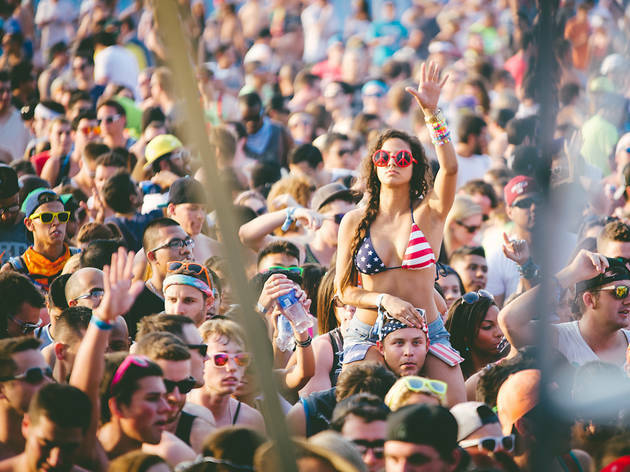 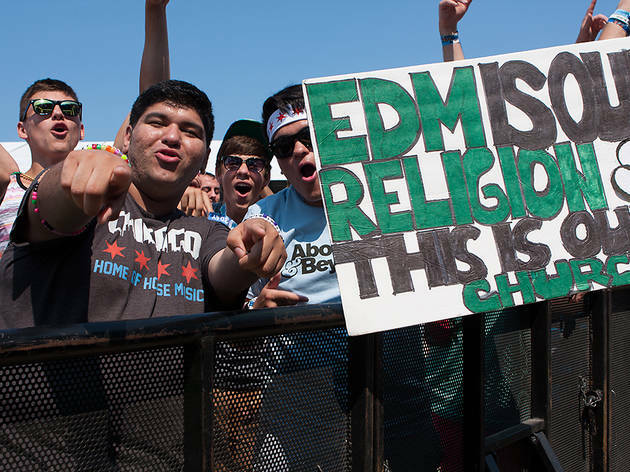 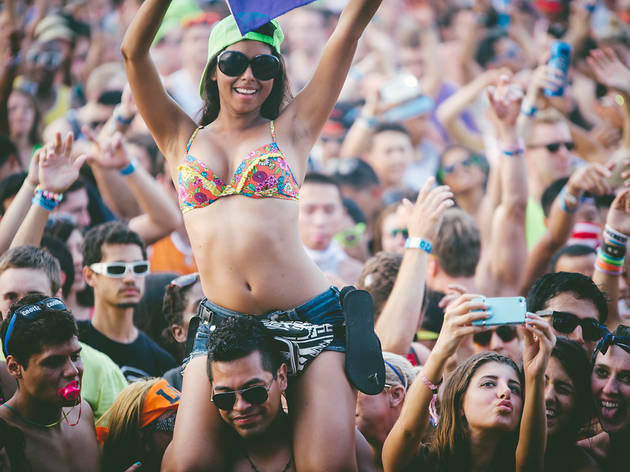 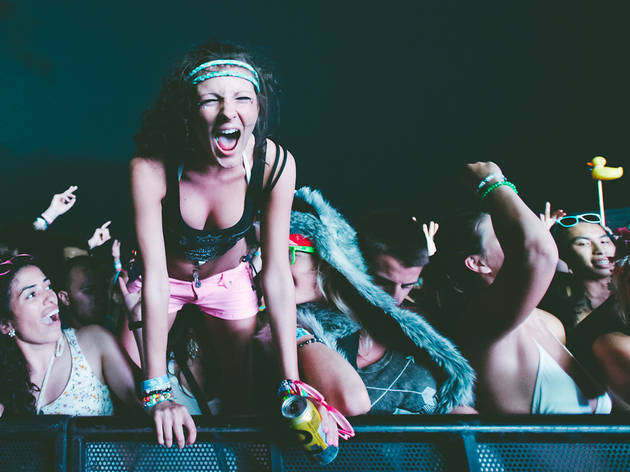 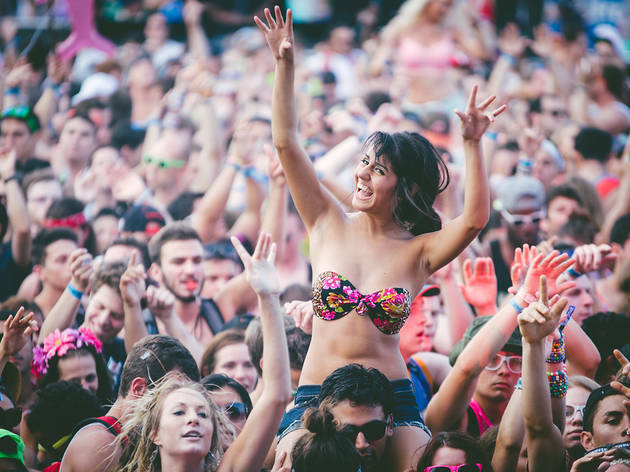 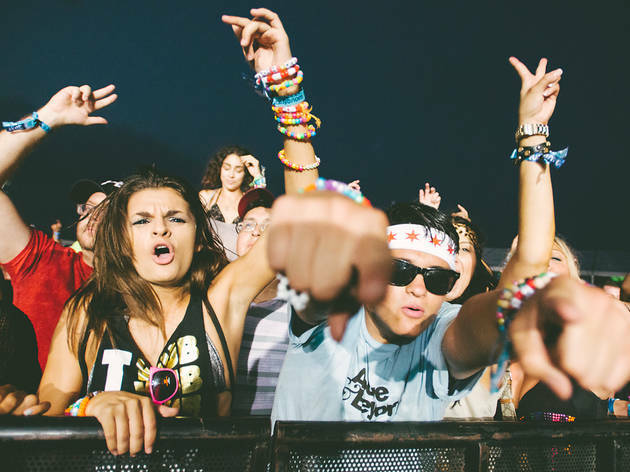 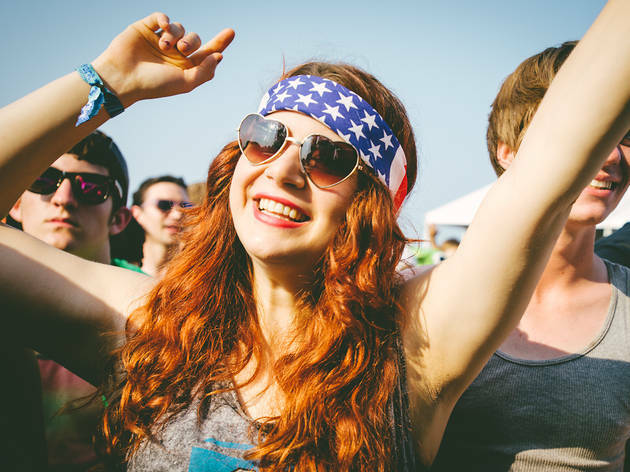 At other EDM music festivals like Spring Awakening and Electric Daisy Carnival, you can observe all manner of flamboyant raver costume. 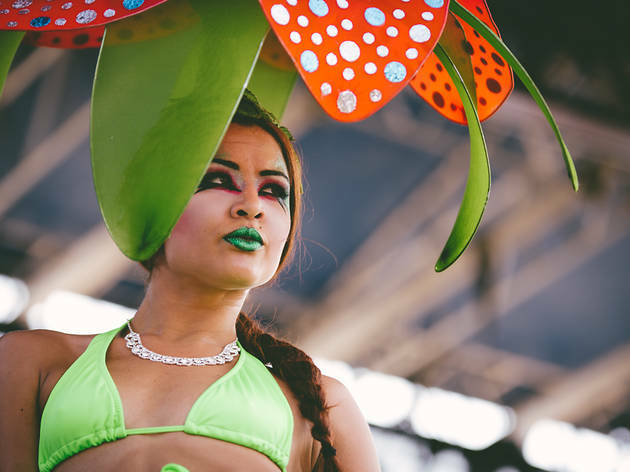 We saw women dressed as butterflies, mushrooms and neon felines. 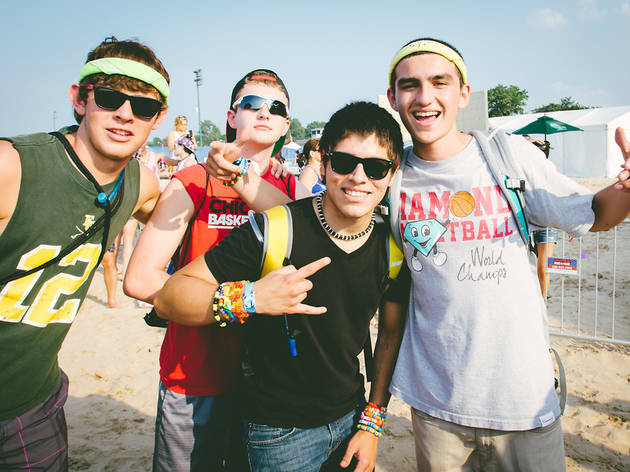 Boys sport atypical amounts of chartreuse. 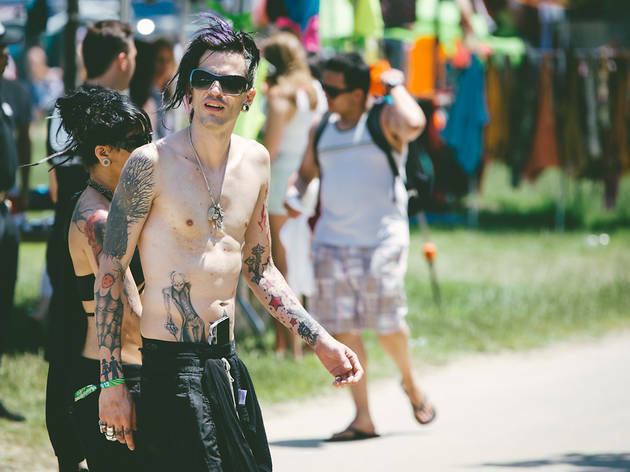 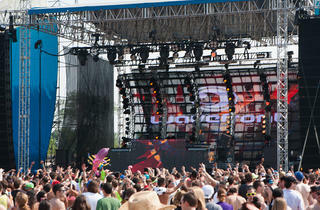 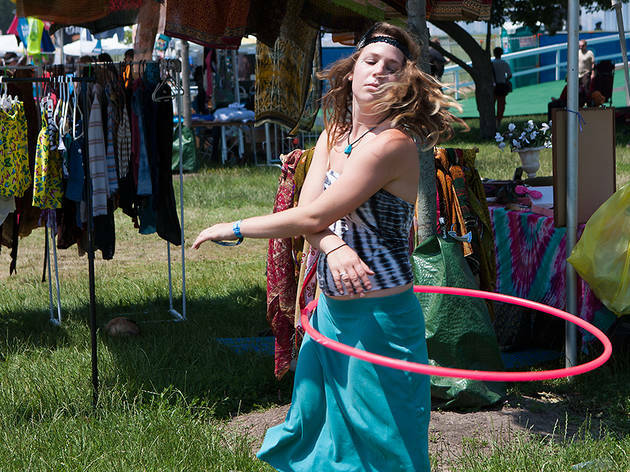 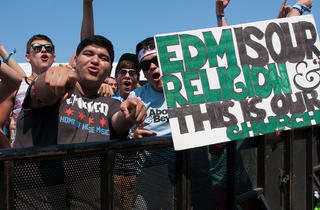 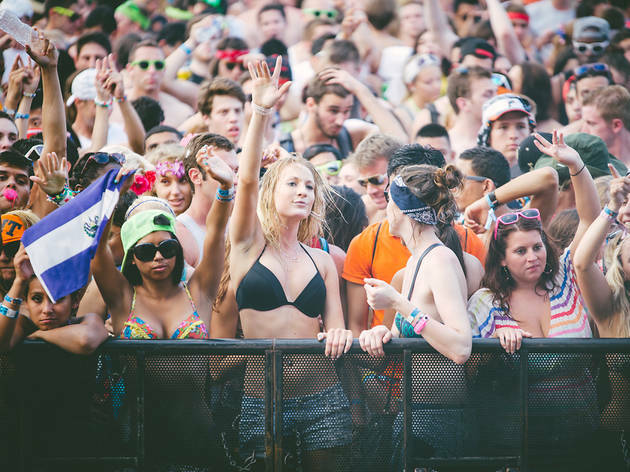 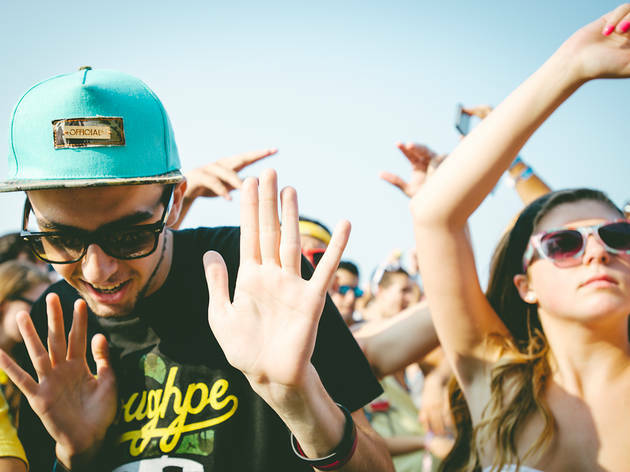 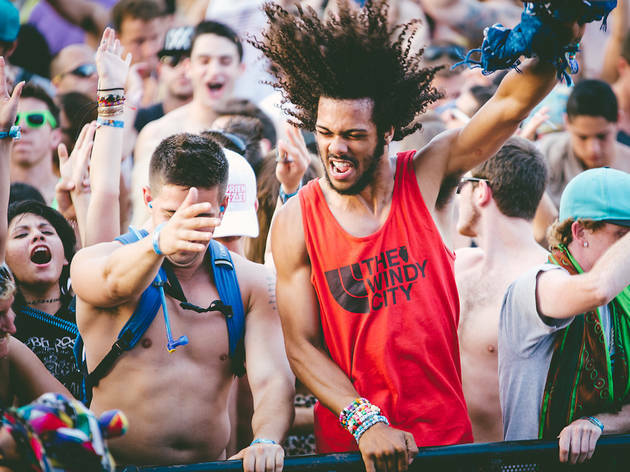 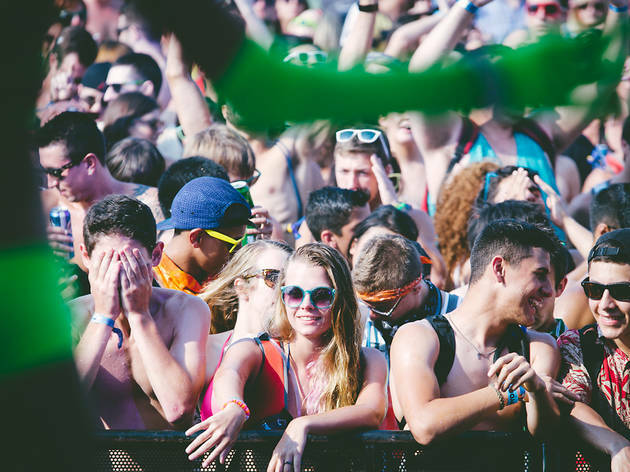 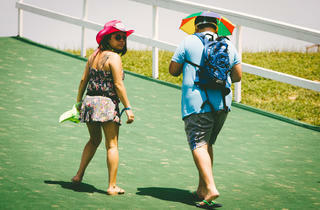 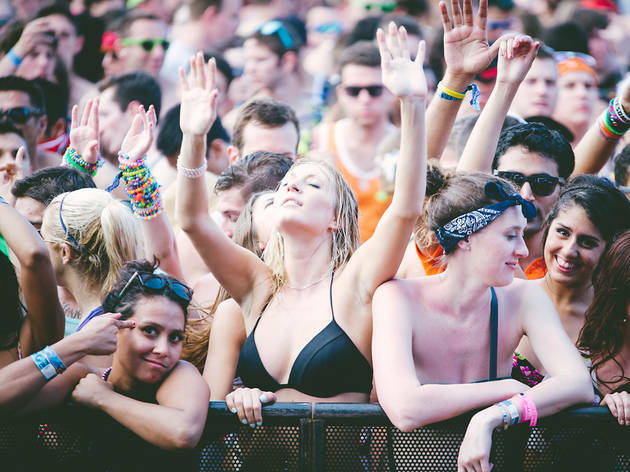 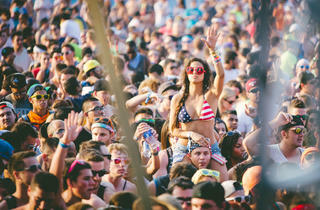 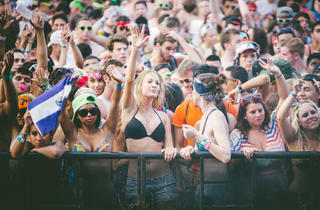 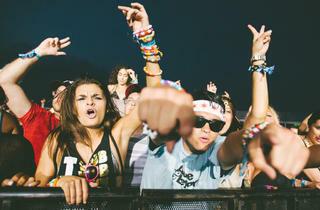 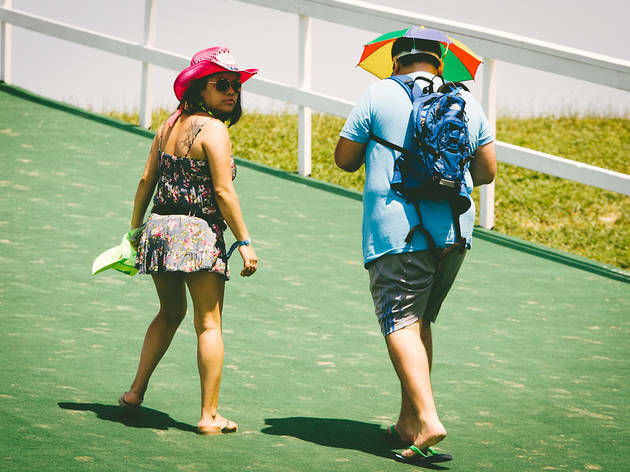 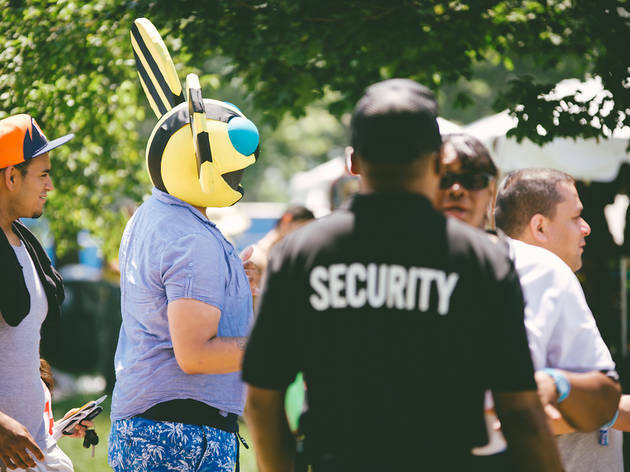 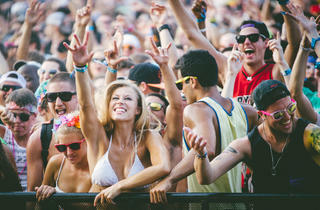 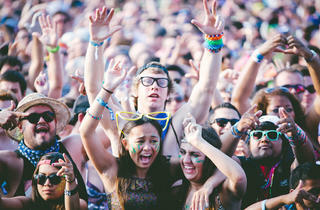 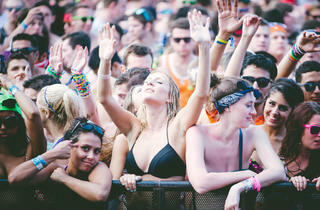 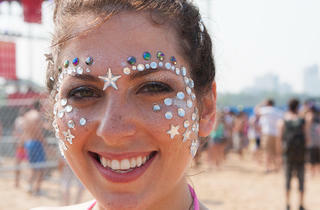 The dress at Wavefront Music Festival is not such an acid-soaked panoply, with good reason. 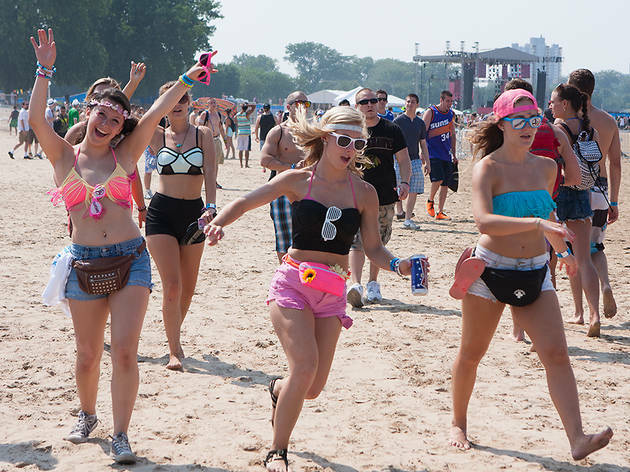 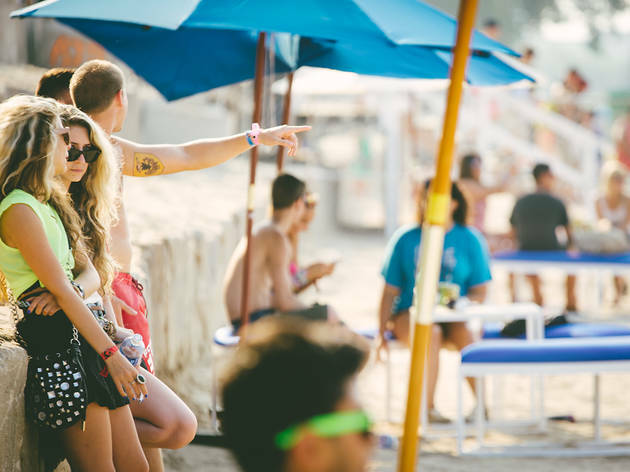 The dance party is on a beach. 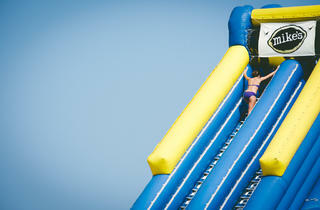 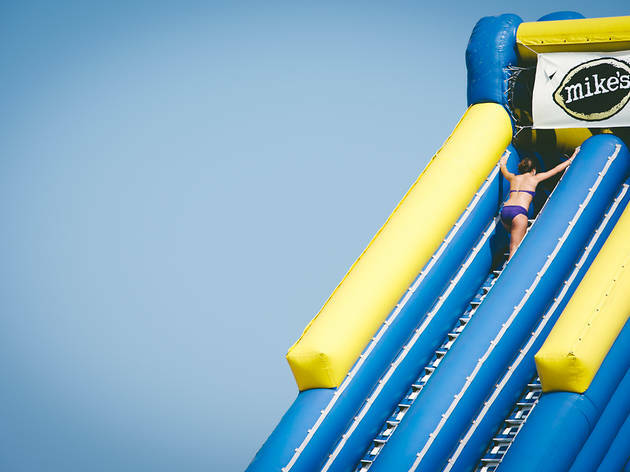 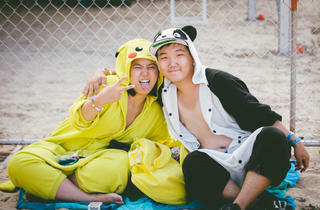 Which means the attire is swimwear, if anything, shoes optional. 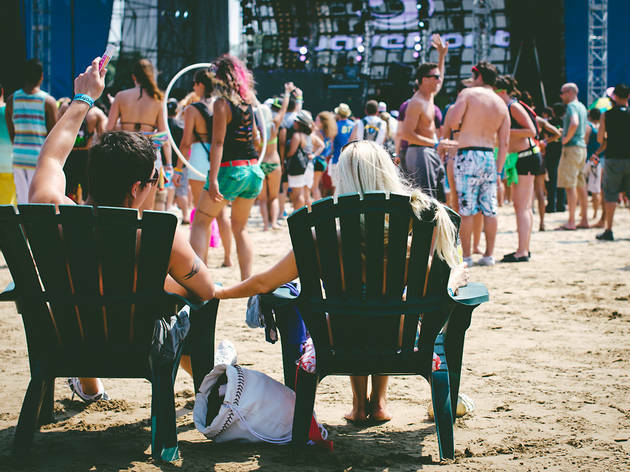 It's the closest thing we get to Ibiza on the shores of a freshwater lake in Midwest America. 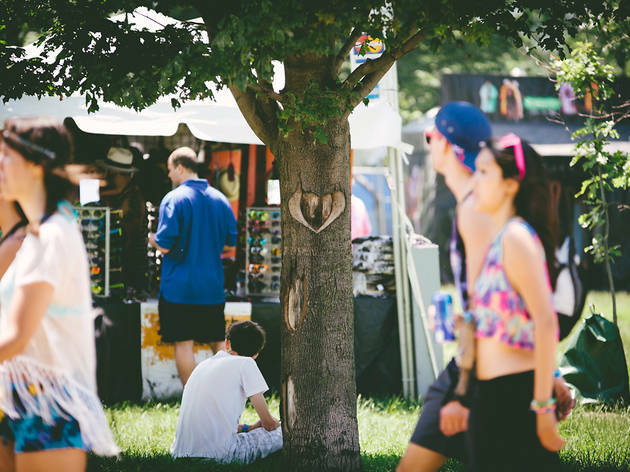 The weather is glorious this long holiday weekend. 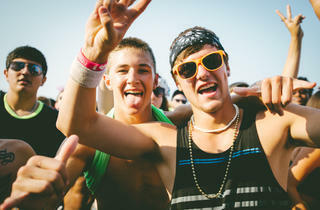 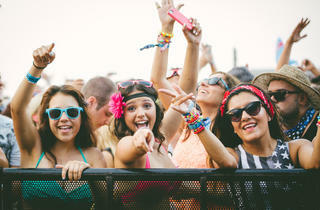 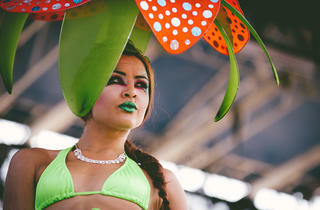 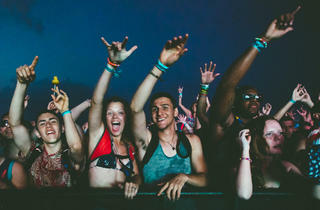 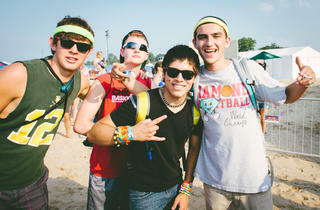 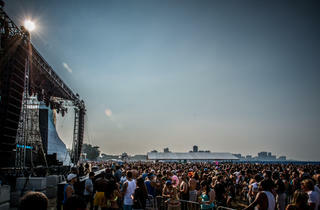 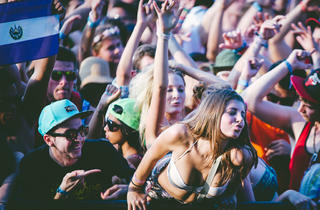 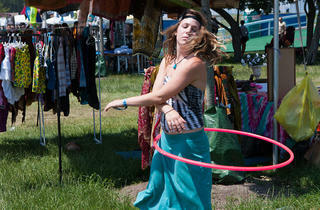 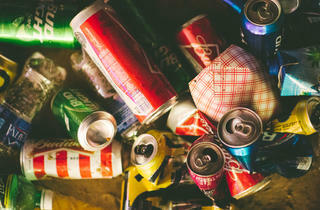 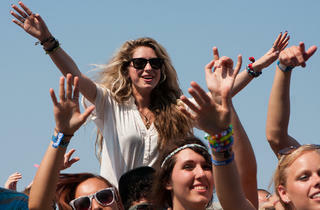 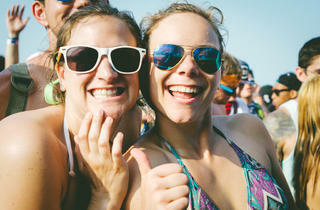 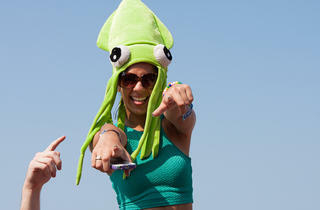 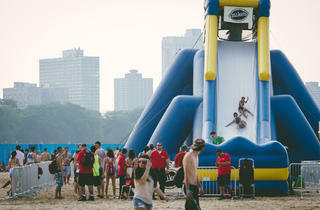 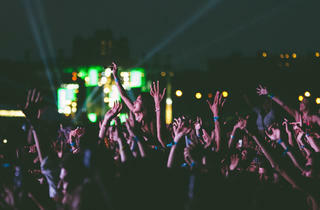 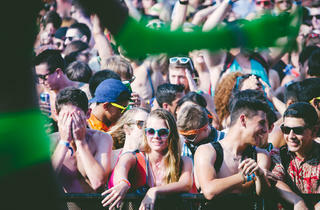 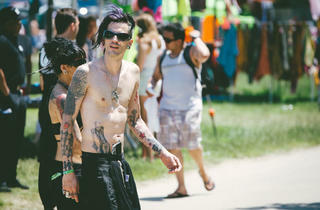 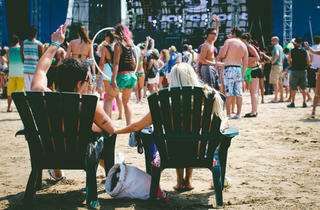 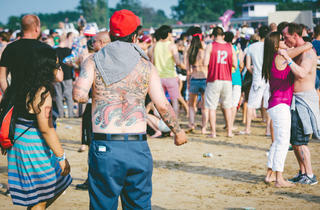 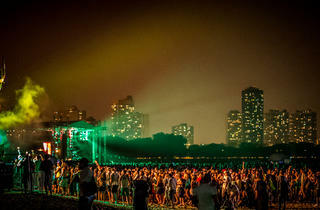 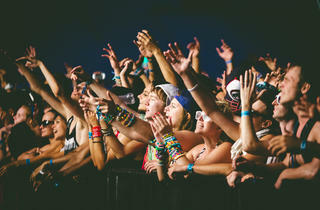 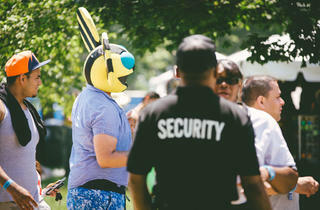 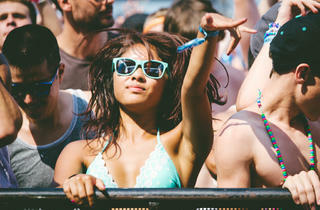 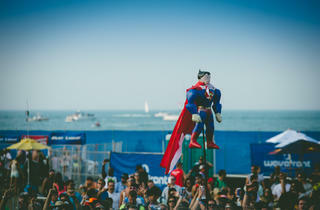 If you are not outside, you fools, peruse our pictures of the dancers and partiers from the shores of Montrose Beach.